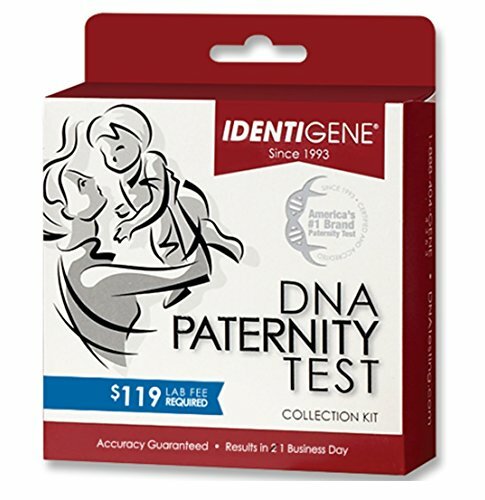 IDENTIGENE is America's #1 retail paternity test brand. The IDENTIGENE DNA Paternity Test Kit provides fast, accurate and confidential DNA paternity test results in just one (1) business day, once samples arrive at our lab. IDENTIGENE is the affordable, accurate, trusted answer you need, without weeks of waiting. Please note that an additional $119 lab fee is required when submitting samples to the laboratory. Collect samples using the simple and painless cheek swabs included in the kit. IDENTIGENE has multiple lab accreditations. When using the kit for legal purposes (such as child support or child custody), testing requires a witnessed sample collection. Call IDENTIGENE prior to opening your kit for detailed instructions. America's #1 paternity test brand. If you have any questions about this product by Identigene, contact us by completing and submitting the form below. If you are looking for a specif part number, please include it with your message.